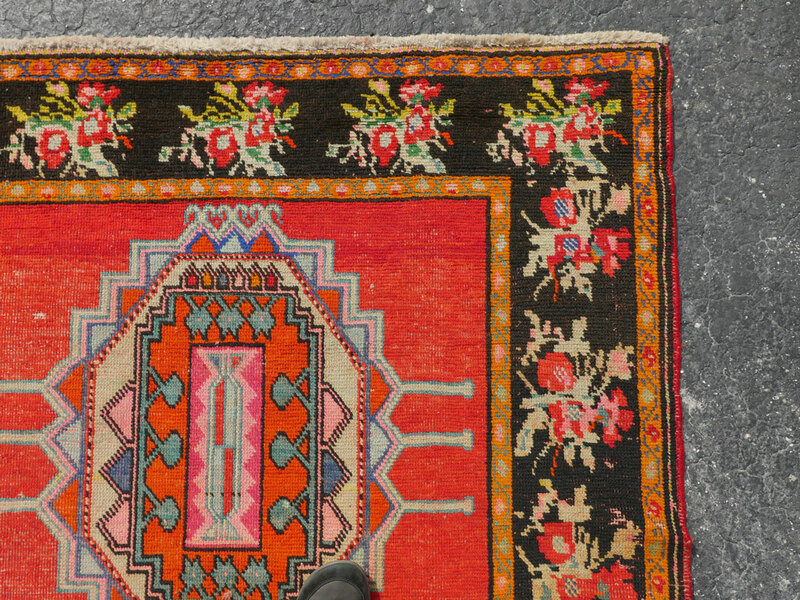 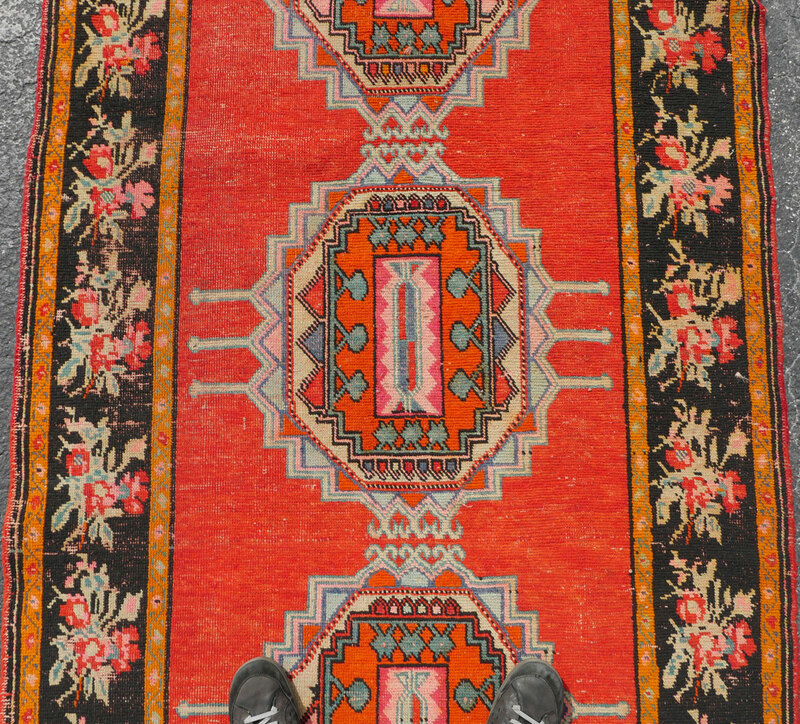 APROX 24-50 YR OLD PERSIAN HAND KNOTTED WOOL RUG, 4'5'' X 9'2'': Three large bold colorful geometric shaped medallions are placed on a bright red field. 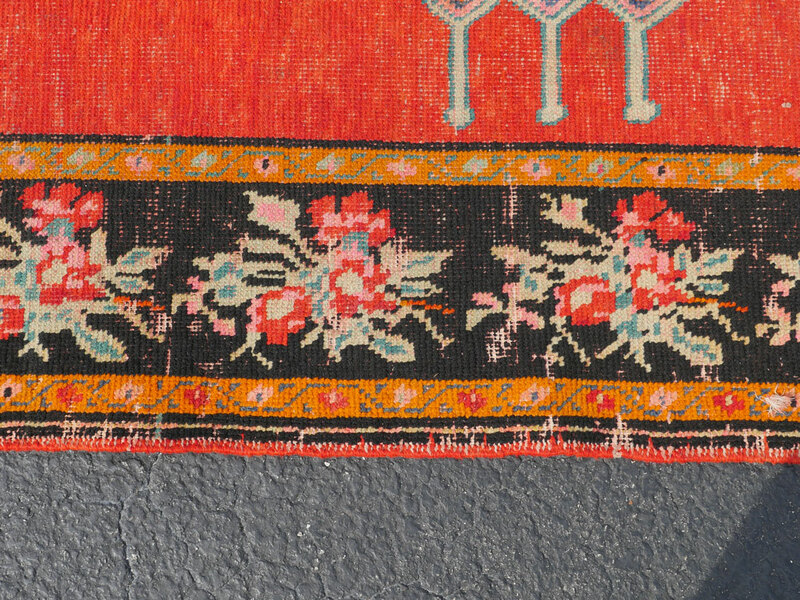 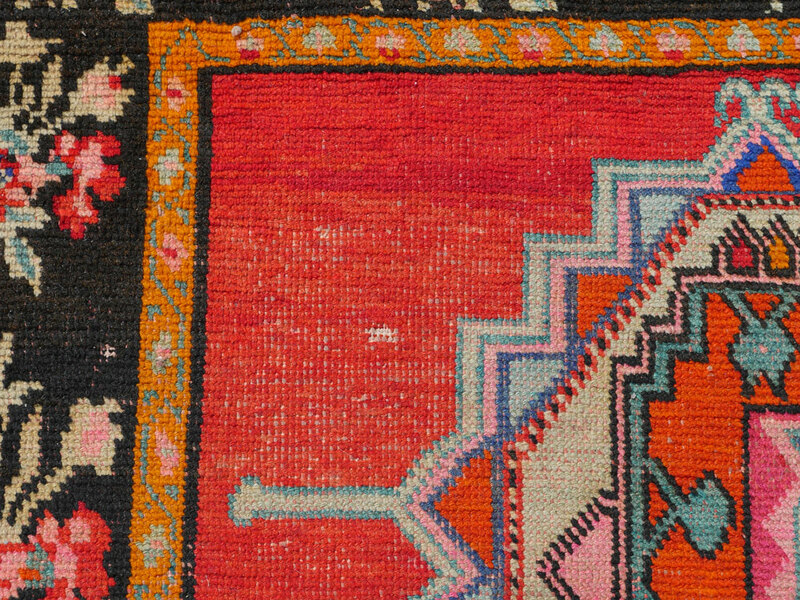 A black main border has a ''European '' style floral spray running all around the rug. 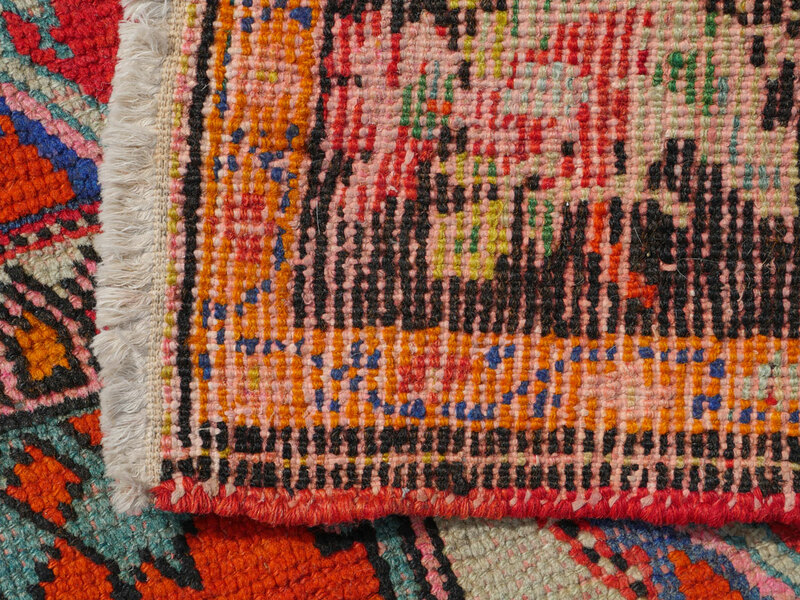 The orange and blue or orange and green guard borders complete the design. 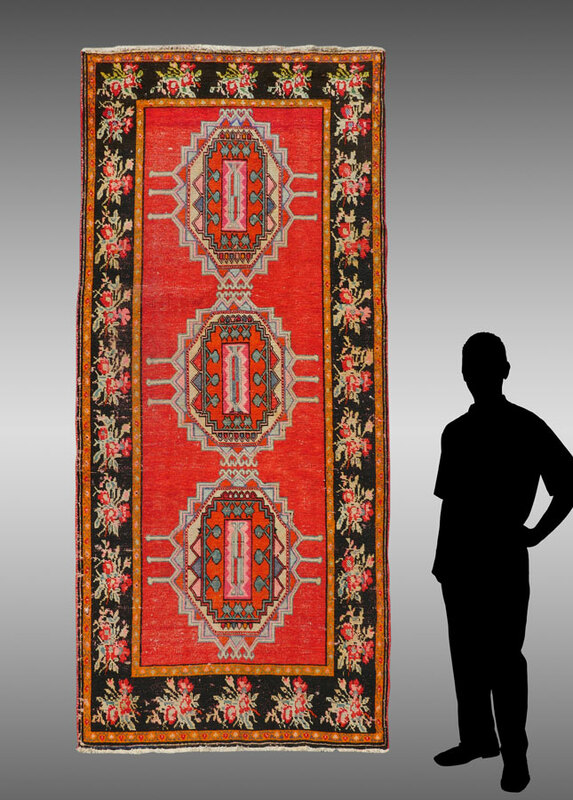 CONDITION: Although there is visible wear this is still a dynamic attractive rug.